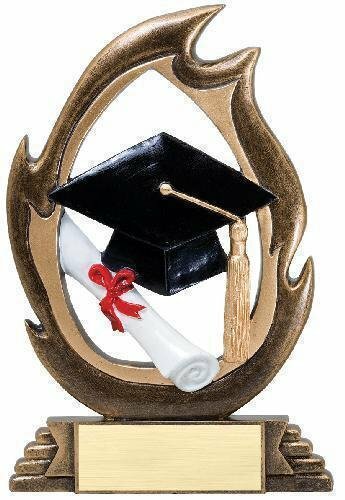 Commemorate your graduate with one of our fine Graduation Awards. 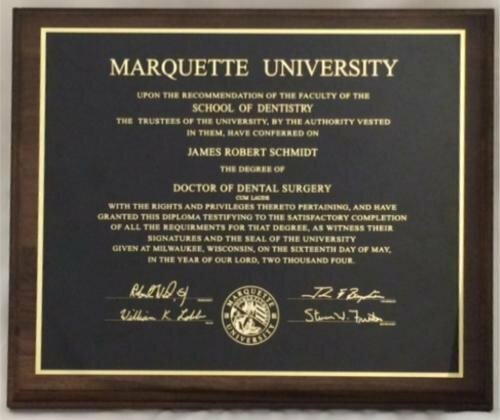 Create a beautiful and lasting memento of your diploma with our Diploma Plaque. 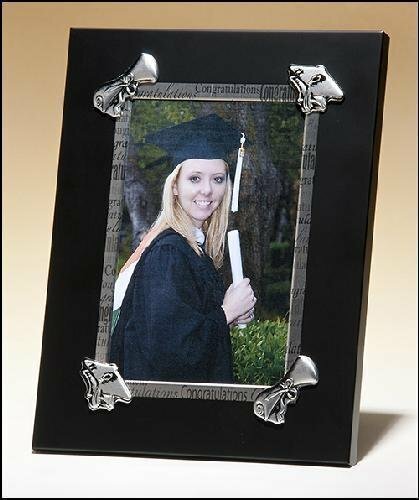 Send us a high-resolution scan of your diploma and we will digitize it for laser engraving on shiny black aluminum. 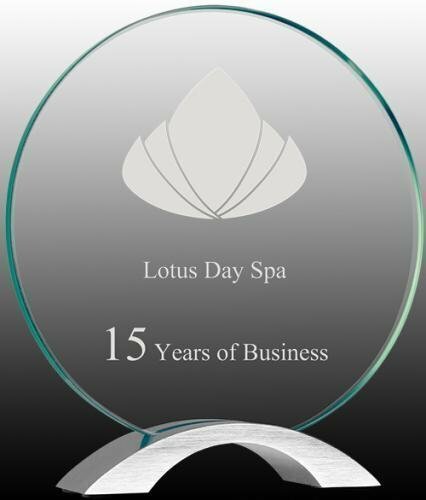 Engraving available in either gold or silver. Mounted on 12" x 15" Genuine Walnut or Rosewood Piano Finish plaque board. During the checkout process, there is a place to upload your file. 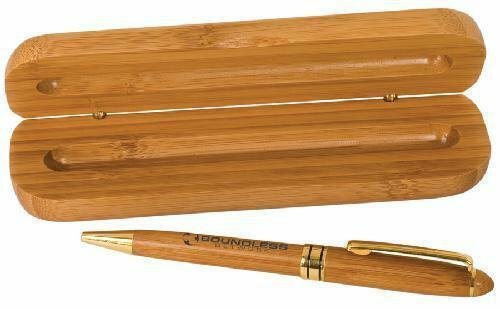 This classy pen does double duty with a twist action ballpoint pen on one end and a stylus on the other. The gloss finish pen is available in several colors as well as bamboo, all with silver trim. 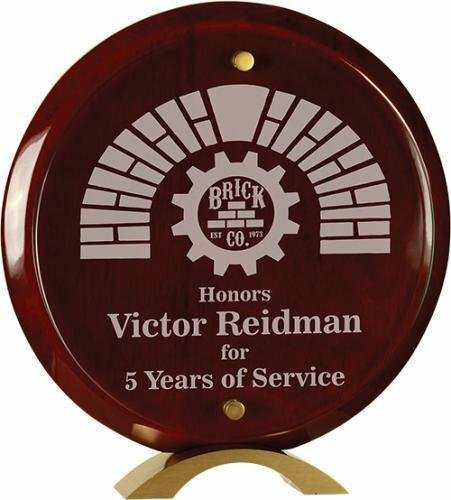 Personalize them for a special event, gift or promotional item. 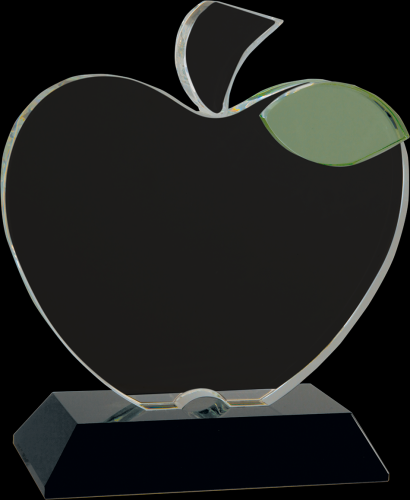 This contemporary award features a large etching area made of round jade glass, sitting atop a brushed aluminum base. 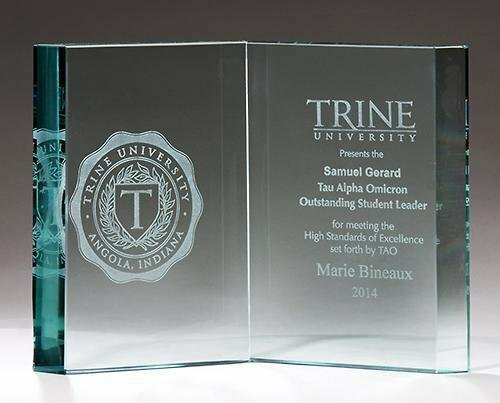 We deep sand etch this piece for a rich, dimensional effect. 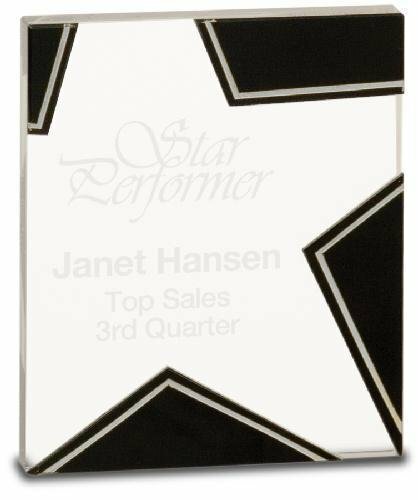 Impressive Rosewood Piano Finish Round with Jade Glass 3/16" thick glass round suspended off the plaque using matching metal hardware. Hardware and metal base are gold colored. Standups are available in Rosewood Piano Finish or Black Piano Finish and are individually gift boxed.